SAN FRANCISCO (April 17, 2017) — To celebrate the 47th anniversary of Earth Week, Blue Shield of California today announced significant progress towards its 2020 environmental sustainability roadmap with the unveiling of its solar power installation at its Lodi office. The environmental sustainability goals, established in 2015, include commitments to reduce greenhouse gas (GHG) emissions by 30 percent and achieve 30 percent renewable energy use by 2020. At the solar “ribbon-cutting” event, where Blue Shield employees and City of Lodi officials celebrated the investment in renewable energy, Blue Shield also announced plans to break ground on another solar power installation at its El Dorado Hills office later this year. The two projects, together totaling 3.5 megawatts, are expected to produce about 5 million kilowatt-hours annually, offsetting the equivalent of 86 million pounds of carbon dioxide over 20 years – comparable to planting more than 1 million trees. These investments are estimated to help Blue Shield achieve more than 80 percent of its 2020 renewable energy goal and more than 70 percent of the emissions reduction goal. 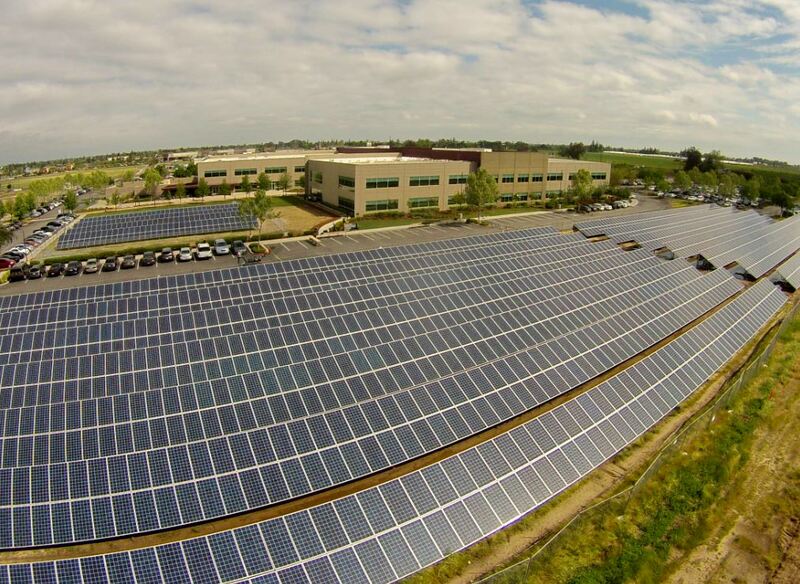 Blue Shield CEO Paul Markovich noted that solar power not only has a positive impact on the environment and the health of our communities, but it also embraces the health plan’s affordability goals. The cumulative cost savings of these solar investments over 20 years is estimated to be more than $7 million, compared to standard utility rates.